﻿ Daosavanh Resort & Spa Hotel, Savannakhet | FROM $36 - SAVE ON AGODA! Have a question for Daosavanh Resort & Spa Hotel? ",staff were fantastic ,rooms good no complaints and I will return"
"Food was decent and the beer Laos was cold and delicious." 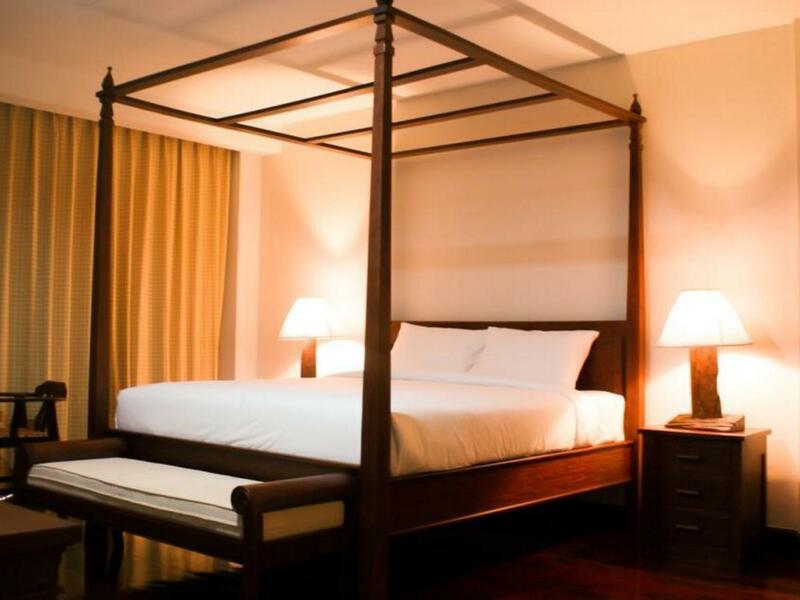 "Nice hotel if you have to stay in Savannakhet." For travelers who want to take in the sights and sounds of Savannakhet, Daosavanh Resort & Spa Hotel is the perfect choice. Only 2.0 Km from the city center, the hotel's strategic location ensures that guests can quickly and easily reach many local points of interest. Also within easy reach are That Ing Hang Stupa, Xayyaphoum Temple, Dinosaur Museum. 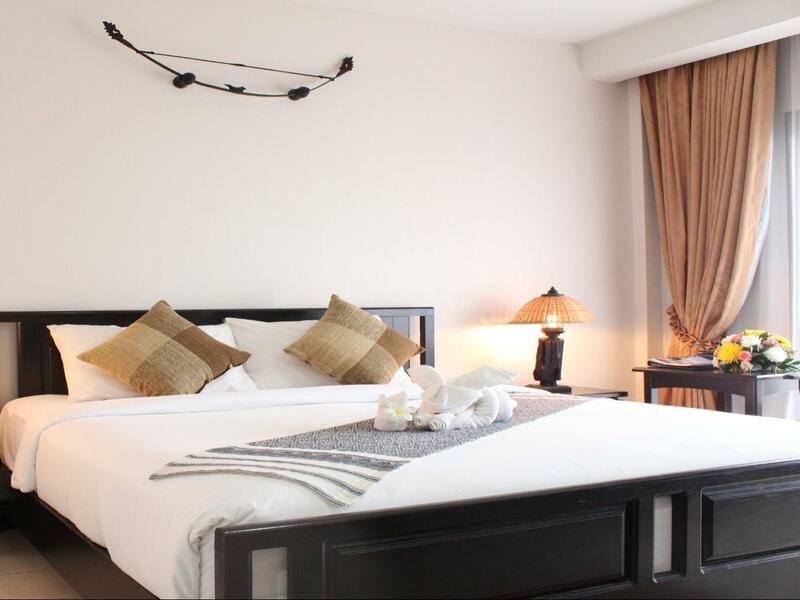 Daosavanh Resort & Spa Hotel also offers many facilities to enrich your stay in Savannakhet. 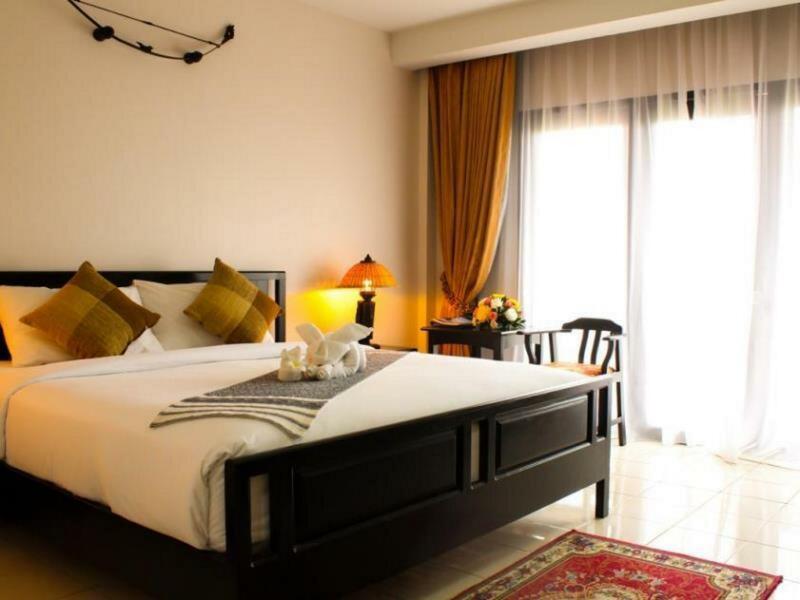 A selection of top-class facilities such as free Wi-Fi in all rooms, 24-hour security, gift/souvenir shop, 24-hour front desk, luggage storage can be enjoyed at the hotel. Daosavanh Resort & Spa Hotel is home to 83 bedrooms. All are tastefully furnished and many even provide such comforts as television LCD/plasma screen, internet access – wireless, internet access – wireless (complimentary), whirlpool bathtub, non smoking rooms. Throughout the day you can enjoy the relaxing atmosphere of the yoga room, hot tub, fitness center, sauna, outdoor pool. 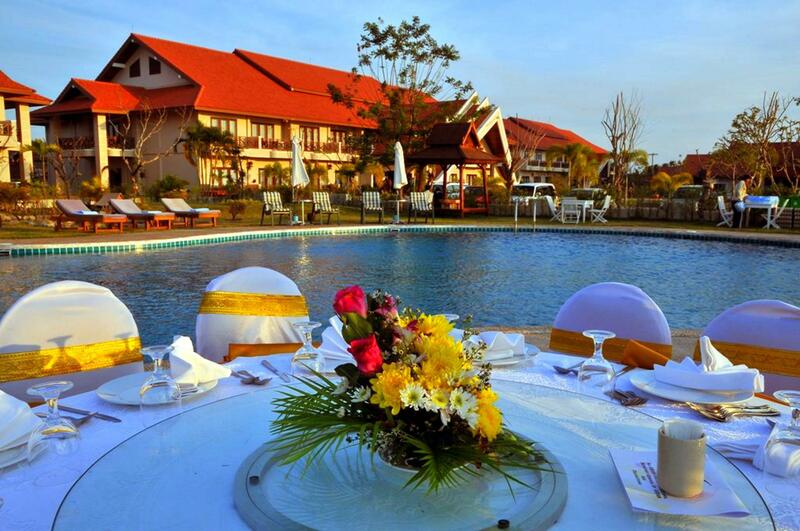 Whatever your purpose of visit, Daosavanh Resort & Spa Hotel is an excellent choice for your stay in Savannakhet. "Friendly staff & comfortable rooms." Was built to be a first class place for conferences, business meetings and travelers. However, maintenance is poor and place appears run down ike nobody cares anymore. Likely still better than other places in town. Delicious food at a good price. However, the coffee is awful... But has kettle and cups in room, so just bring your own. The pool is nice, but something wrong with the water. Made eyes burn badly. Red for 2 days... Will maybe stay again since options in Savannakhet are limited. Liked better than staying at the casino. Nice hotel with nice restaurant. We were on a visa trip and there's not much to do around so picked a relaxing resort. It's got a great restaurant, highly recommend. My only negative was that the pool isn't kept very well, lots of leaves. I still went in,but could be much better. Also, the gym is extra money (can't remember how much, but enough to make me not go). Second time there. . Nice and quiet place. Little bit far from city center if you don't have a car or a motorbike. Good location to see the sunset on the Mekong river. Nice big room, we booked a deluxe room for 53€. As many others have reported the air con was poor and noisy - also rooms on the ground floor have no river view - we moved to a smaller cheaper room where the aircon worked . Pleasant enough stay otherwise but think 3 star not 5 star. Other than being a bit isolated, the Daosavanh is a great place to stay. Smiling staff, service oriented front desk, and adequate food and drinks makes your stay extremely comfortable. Arriving at the hotel in the evening, check-in was very swift and I was thus immediately whisked to my room. Very friendly hotel staff. My room was functional in every respect, the WiFi worked very well throughout my stay. The pool was great, and I had it all to myself on both occasions I went for a swim. The only real let down was breakfast. For a hotel of this caliber, it could do a lot to improve it's game. They had boring white toast with cheap jam and margarine rather than baguettes with butter and either local or imported jam made from organic fruit, and a larger variety of options and proper tea and coffee (not the instant stuff) would have made a big difference. The chicken curry on the first morning was good, but I found myself having a second breakfast outside. Location is very quiet, especially at night - but best suited to those with their own transport as it's about 1km to the nearest shops and restaurants. However, tuk-tuks are usually available or you can charter one. Nice enough hotel with friendly staff. Our room (104) had a very noisy A/C which could not be controlled in any way by the remote - other than to switch it off. Breakfast was disappointing and not up to the standard of an international hotel. Turn on shower and rusty water came out of hot tap. Had staff check out problem and half fixed it. Hotel is a long way from city centre. Breakfast would be good if you were starving. I had coffee and toast. All the rest was asian dishes that my wife said was not very tasty. Poor facilities & wi-fi not working for most of the time. Old hotel. Water system was broken throughout the hotel so we could not use water nor take a bath for few hours. Not reach the category of four stars hotel. The staff are incredible. Full Buffet breakfast with food cooked to order and real coffee made a cup at a time while almost no other guests in sight. I had the pool to myself the whole day. I travel in Asia a lot and am not fussy so for me no complaints, but for any 'unseasoned' travelers, I did see a lot of ants around. The gardens, and pool were not kept up to western standards. The pool water was cloudy and full of leaves, the chairs were broken and the garden workers were taking a nap in the shade with their phones for the entire two hours I was there. To clarify, this was not the case with the room. The room was far better than average for the price. The staff inside were fantastic. I didn't visit the gym or spa. 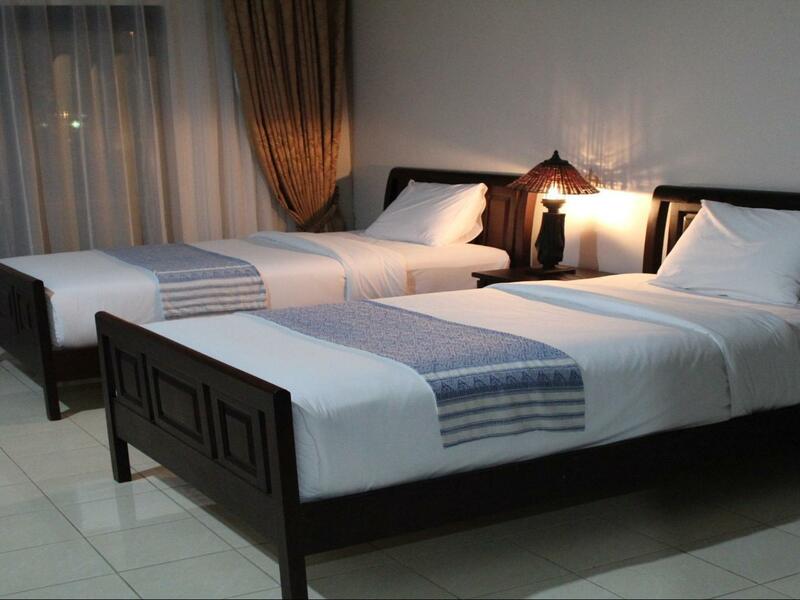 Staff are all very helpful, and this is the most comfortable and professionally run hotel in Savannakhet. I recommend it to anyone visiting Savannakhet.